US major media bias is longstanding. It’s over-the-top attacking America’s enemies. Scurrilous misinformation substitutes for honest reporting and analysis. Doing so is standard editorial policy. Lies, damn lies, and scurrilous ones repeat with disturbing regularity. Syria is wrongfully vilified. So is Iran. Fairness & Accuracy in Reporting (FAIR) provides a vital service. It’s a credible media watchdog. It exposes media misinformation, bias and censorship. It features truth and full disclosure. It does so because it matters. Far from being “fair and balanced, we report, you decide,” Fox is “precisely the opposite.” It gives conservatism a bad name. It’s way over-the-top doing so. “So, he starts with a double lie, and then we are to believe that his next statement (about) never construct(ing) one is true. William Kristol co-founded the Project for the New American Century (PNAC). The Foreign Policy Initiative is its new incarnation. Its agenda supports imperial lawlessness. It reflects old wine in new bottles. FNC claims Rohani has a history of deceit with the West. His longstanding record is polar opposite. Don’t expect Fox, Kristol or other FNC contributors to explain. Don’t expect better from other US mainstream media. FAIR hangs them on their own petards. It does so responsibly. NBC Nightly News anchor Brian Williams lied to viewers like he always does. On-air truth is verboten. Lying is the coin of the realm. Williams and likeminded media scoundrels wouldn’t report vital truths if they jumped up and bit them on the rump. “This is all part of a new leadership effort by Iran, suddenly claiming they don’t want nuclear weapons,” he claimed. What they want is to be treated equitably and fairly. They want information about their nuclear and other programs reported accurately. He made similar statements many times before. So have other Iranian officials. NBC Nightly News reported it. “WILLIAMS: And the American president says, ‘It’s OK, keep your nuclear program to keep your homes warm. Stop enriching uranium toward weapons.’ How do you react? AHMADINEJAD: Who is the right judge for that? Any entity except for the IAEA? All IAEA reports indicate that Iran has had no deviation. We have said on numerous occasions that our activities are for peaceful purposes. The agency’s cameras videotape all activities that we have. Did Iran build the atomic bomb and use it? On September 17, 2009, Ahmadinejad told Williams the same thing. On December 3, 2007, Williams “reported the US government’s own assessment that Iran is not working on a nuclear weapon,” said FAIR. “Out of nowhere, the US said today it has intelligence that Iran stopped trying to develop atomic weapons four years ago,” Williams reported. “Apparently not.” He can’t even remember his own. On August 27, NPR’s Mara Liasson lied to listeners. She does it repeatedly. She wrongfully suggested Assad’s responsible for Ghouta’s August 21 incident. No evidence suggests Iran has WMDs. None shows it’s developing them. Claiming or alleging otherwise is contrary to facts. Don’t expect any NPR reporter to explain. They lie for power. They consistently air anti-Iranian/Syrian propaganda. They ignore hard truths. NPR receives generous government and corporate funding to do so. So does PBS. Listeners and viewers are betrayed. They’re fed daily misinformation. Deception substitutes for honest reporting. Evidence contradicts Schieffer’s assertions. He reported no corroborating facts substantiating them. He has none. It doesn’t deter misreporting. It’s standard mainstream media practice. He “represented” Iran in “discussions of its atomic energy program,” explained FAIR. She poses as a liberal left commentator. She’s nothing of the sort. On imperial lawlessness, corporate power, and other major issues, she’s polar opposite. She’s as unprincipled as the rest. She claimed Bush tried to do the right thing in Afghanistan. She repeats the same thing about Obama. She substitutes propaganda for hard truths. She supports America’s military adventurism right or wrong. She claims US attacks on other nations reflect humanitarian intervention. She’s more articulate than most of her counterparts. She’s equally disingenuous. She calls herself a “national security liberal.” She supports US militarism writ large. On November 8, 2012, Reuters quoted him saying “(t)he Iranian nation is not seeking an atomic bomb, nor (does it) need to build (one),” FAIR said. “Media commentary about Iran’s election results suggests there is an opening to change the state of relations between Iran and the United States,” it added. Warner lied to viewers. She ignored annual US intelligence reports. They consistently deny an Iranian nuclear weapons program. So do IAEA monitors. Warner suggested otherwise. Her report implied one is ongoing. Her comments were entirely one-sided. It wasn’t the first time. PBS News Hour airs all propaganda all the time. It abandoned its public mandate long ago. It sold out to wealth and power. It did so disgracefully. NPR operates the same way. 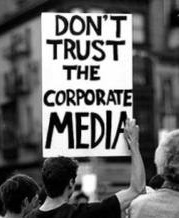 They replicate corporate run broadcast, cable and print news, information and analysis. They ignore what viewers, listeners and readers most need to know. They shame themselves in the process. They share responsibility for state crimes of war, against humanity and genocide. Don’t expect them to explain.